Not just a waste of time, but a waste of money as well. The fees to get those extra, unnecessary certifications would come out of her pocket. Listen, I'm math challenged and even I think knowing multiplication tables is useful. Sure, I can look it up or grab my calculator, but guess what? I can do it even faster in my head. Like instantly. Yes, critical thinking skills are important. Always have been, always will be. Welcome to the party. Unqualified to teach creationism, that global warming is a hoax, gays are devils, and that GW Bush was the greatest president ever? Alabama - "Driving good people away, one person at a time"
Alabama speaks: "I am forty ninth in education. I wonder who is forty tenth?" In Alabammy' they don't give a damn if little Johnny can read.....as long as little Johnny can read a defense. Wish I could like this 100 times because it's so f***ing true!! 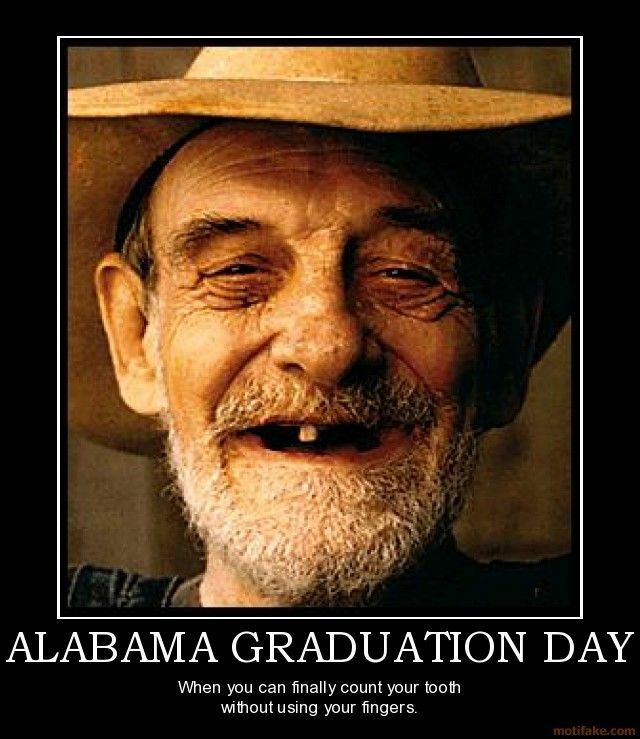 Does the Alabama Department of Education have any kind of "Leadership" which doesn't require use of their feet to eat? I certainly hope that this fine Teacher moves on to a better, richer State where her talents and achievements can be better recognized and rewarded. Alabama is just too stupid to keep someone like this. Such is "life" in the Red States. And Clown Cars full of people want the rest of America to look just like this. Public school teachers can never be good enough for conservatives. They expect them to be robots,work for nothing and not think. This teacher is as good as gold but still isn't good enough because she respects herself and knows what she does is important. They don't care.